Our Z-Axis trackballs are the perfect solution for when complete output flexibility and high levels of efficiency of use are required. Certain applications demand extra axis or control input and for these, our Z-Axis trackballs offer a combination of precise X/Y output from the trackball enhanced by a further 3rd/Z-Axis element of control through the incorporation of an integrated theta ring. This specialist range comes with a choice of diameters starting at 25mm through to 63mm. Applications are across a range of markets—we have provided Z-Axis trackballs for medical imaging systems, sound and lighting control consoles and video editing panels. 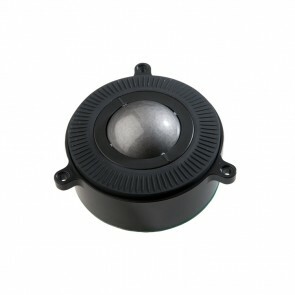 The trackballs are constructed using top quality components and all of them feature full race roller bearings. Customisation options include a variety of backlighting colours, control ring profile and torque. 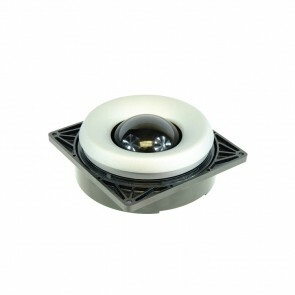 Utilizing the latest and most advanced laser tracking technology, the Z50 Series Laser Trackerball™ is an extremely high specification, contact-less device, ideal for the most demanding of cursor control applications. The device provides both conventional X and Y-axis cursor movement with an additional Z-axis control wheel surrounding the ball.